Two days after police revised their timeline for the shooting in Las Vegas, which left 58 dead and hundreds injured, a hotel maintenance worker said he told hotel dispatchers to call the police before the mass shooting started. 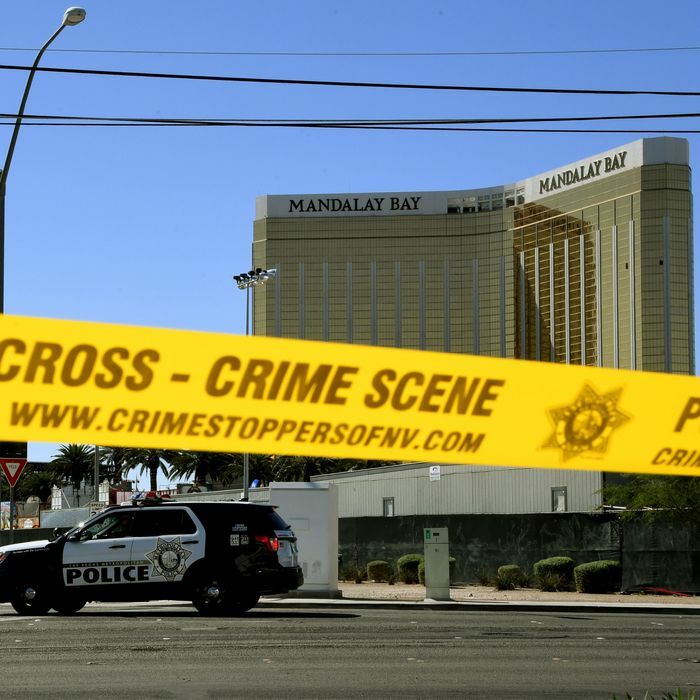 Originally, police suggested that gunman Stephen Paddock stopped firing on concertgoers from the window of his 32nd-floor suite at the Mandalay Bay Resort and Casino when he saw hotel security guard Jesus Campos in the hallway outside his room. Campos, who took a non-fatal shot to the leg, was credited with protecting a maintenance worker as Paddock fired dozens of shots into the hall. When police entered the room they found Paddock had killed himself. “We just don’t know how long it took him to call. He’s getting shot at, he’s running, he’s getting shot, he finds some cover, that’s when he starts calling in,” Roberts added. On Wednesday, the hotel maintenance worker, Stephen Schuck, revealed that he told hotel dispatchers to call the police as well. Like Campos, Schuck was responding to a report of a jammed fire door. When he arrived on the 32nd floor, he heard gunshots and Campos peeked out from an alcove and told him to take cover. On Wednesday, the AP reported that when the hotel called police Paddock had already started firing on concertgoers. The timeline shift raised questions about how police and hotel security responded to the shooting, and MGM Resorts, which owns the hotel, cast doubts on the new version of events. “We cannot be certain about the most recent timeline that has been communicated publically, [sic] and we believe what is currently being expressed may not be accurate,” the company said in a statement. The issue is now the focus of a lawsuit, which is likely the first of many. Shooting victim Paige Gasper is suing Mandalay Bay, MGM Resorts, concert promoter Live Nation, and the maker of “bump stocks,” a device that allowed Paddock to fire more quickly. Gasper, a 21-year-old concertgoer who was shot in the underarm, says MGM Resorts “breached their duty of reasonable care” and failed to keep the hotel “in a reasonably safe condition,” alleging that hotel staffers did not respond quickly enough after learning of the shooting. Joseph Lombardo, the Las Vegas sheriff, said in interviews on Wednesday that the investigation is complex, and the timeline may change again. “Nobody’s trying to be nefarious, nobody’s trying to hide anything, and what we want to do is draw the most accurate picture we can,” he said. Lombardo has also defended how hotel workers and police responded to the shooting. He said officers were on the floor two minutes after Paddock stopped firing, and “did everything right.” He suggested people are focusing on the response because there are still no clues about Paddock’s motive.